• With the innovative AI Style Effects you can harness the power of our artificial intelligence engine to turn videos or photos into works of art. • Create with easy-to-use but powerful controls that let you apply layer masks in your photo editing workflow. • Explore more creative design possibilities by applying creative clipping masks in your photo editing workflow. • Control the look and feel of your images with greater accuracy by applying adjustment layers. • Layer editing can be complex. Group layers to keep related layers together for better workflow and organization. • Design impressive works by applying customizable text with kerning to your images. • Duplicate objects or people within photos simply by brushing over them. 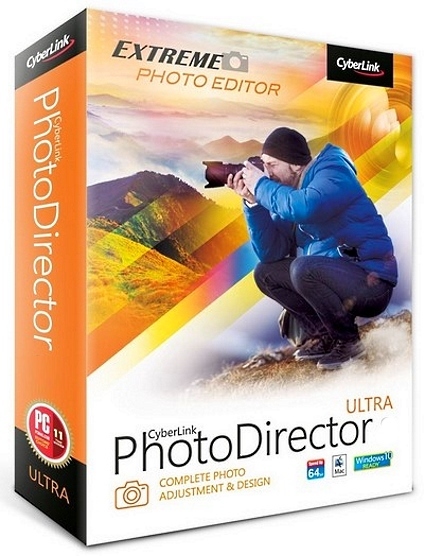 • Shot & view images immediately for a more efficient editing workflow. • View a simulated printer output on your monitor with gamut warning. • Intelligently fix image perspective to make objects appear flat on the horizon. • Search and manage photos sorted by the time they were shot. • Supports the popular new format that allows for better image quality to be captured at a fraction of the filesize of JPEG. • Import GIFs and separate each frame to create amazing multi-sequence, or multi-exposure images. • Create impressive photos with creative presets designed for portraits & landscapes. • Use one of four new watermark templates to add to your images. • Support for an ever-growing collection of lens profiles to quickly and accurately fix common lens flaws. • Refined Face Tagging UI in the Media Library. • Learn more and edit faster with point-of-use tutorials and hotkey support.